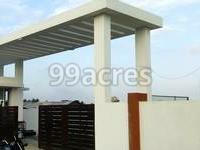 Isha Aabhirupam is one of the residential developments of Isha Homes, located in Chennai. 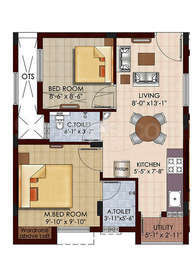 It offers spacious skillfully designed 2BHK apartments. The project is well equipped with all the amenities to facilitate the needs of the residents. East Tambaram is a developed locality of Chennai. The locality has seen a rapid development in the real estate sector. The green surroundings, open space, availability of water and electricity has contributed to the vast development of the region. Trichy Chennai highway passes across the region. The region witnesses beautiful views from the Selaiyur Lake which falls within the region. East Tambaram is the locality which has planned infrastructure, assuring ideal dwelling conditions. It is just 10 km away from Chennai International Airport. It is also the home of many beautiful temples like Kumaran Kundram, Kamakshi Amman Temple. What is the project location?The project is located at East Tambaram, Chennai South. What size of flats are available in Isha Aabhirupam? 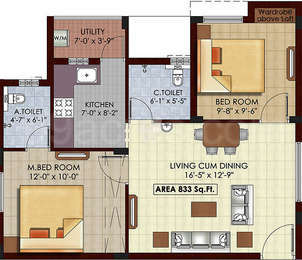 The apartment sizes in the project vary from 592.0 sqft to 898.0 sqft. What is total area of 2 bhk in Isha Aabhirupam? 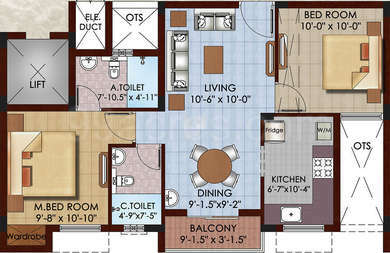 The area of 2BHK units in the project varies from 592.0 sqft to 898.0 sqft. What is the total area of Isha Aabhirupam?The project spans across 1.13 Acres. How many units are there in Isha Aabhirupam?There are 102 units available in the project. Does Isha Aabhirupam have lawn tennis? The project doesn't have lawn tennis. ISHA HOMES I PVT. LTD was formed in 2004 to address the express needs of the ambitious younger generation with a global exposure. They were not ready to settle for anything less than the most modern and the best, be it in construction, fittings or features. Isha Homes started operations with the aim of providing modernity, functionality and luxury in every sq.ft. of construction. We believe in a constant process of modernization and implementation of technology in our construction methods.